How to dispose of recyclable garbage? 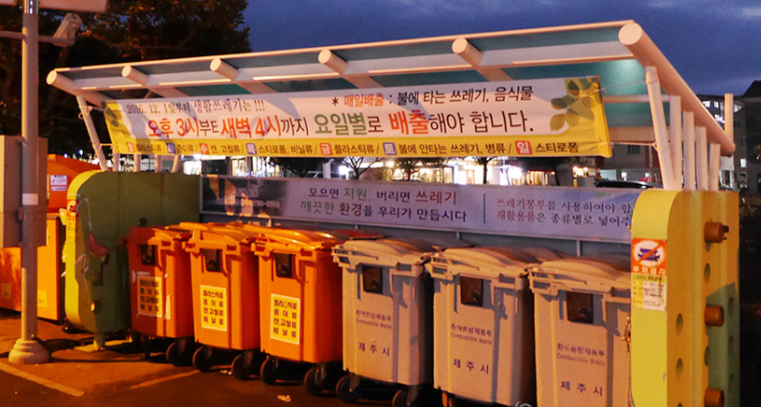 Some Jeju residents complain about the hours, saying that disposing of different recyclable garbage on a different day is acceptable, but throwing them away at certain hours only is so inconvenient. For the ‘combustible general waste’ (가연성 일반쓰레기) in Jeju, and you should use the standard 5, 10, or 20 liter white garbage bags. The garbage plastic bags can be purchased at convenience stores, E-mart, Lottemart, etc. What about non-combustible general items? 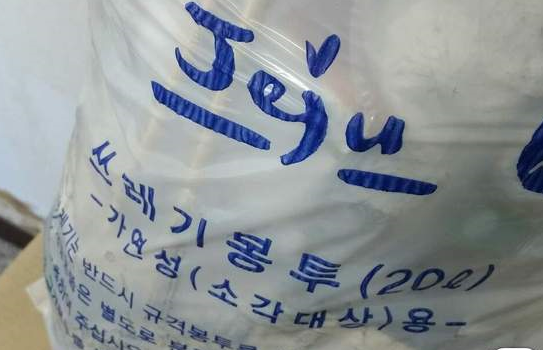 The non-combustible general waste (비연소성 일반쓰레기) such as broken glasses, ceramics, porcelain dishes, etc, you should use green plastic garbage bags which can be purchased at the same place as white plastic ones for combustible general items. -From December 2016 to June 2017, a trial period of new rules went into effect. -New rules really took effect from July 2017. How to dispose of oversized items such as furniture, refrigerators, electronic products, office appliances, heating/cooling items? That cannot be put in standard size plastic bags. There is a fee for disposing of these items. It varies from KRW 2,000 to KRW 15,000, depending on the types and size of the items. Please talk to your property landlord or manager, real estate or relocation agent for the contact details of your local community office (‘dong’ office 동사무소) - sometimes you will have to go to the dong office, pay the fee, pick up the sticker, and place it on the item before it will be picked up. What is a special disposal? Some other items, such as batteries, cell phones and unused medicine, need careful disposal. Community centers and waste disposal places have a separate container for properly disposing of batteries and cell phones, while local governments recommend taking unused medicine to your nearest drug store for proper disposal.